If you are looking to satisfy your appetite for creative, meaningful writing prompts to suit any young writer, this is just the place to quickly find over 700 instantly generated ideas. All that you have to do is click on the "click here for your story starter" button. If you don't like the one you see, keep clicking for different story starters until you find the one that suits your fancy. Then, start writing! Save this site in your favorites and link to it from your class webpage. For even quicker access, save this as a favorite on your Teachersfirst membership page to come back to whenever you are planning a pre or post reading/writing assignment. (If you are not already a member, join TeacherFirst for FREE.) These creative ideas are also great to file in your "emergency" lesson plan folder for a substitute teacher or when you are just looking for a spontaneous writing or journal assignment. Students may use it the traditional way by writing the story starter sentence on a piece of paper. With access to a class set of computers students could copy and paste into a word document or class wiki page and start writing their stories, poems, or journal entries. Enhance student learning by challenging them to share their writing aloud on a podcast using a site such as PodOmatic, reviewed here. This New York Times site addresses many classroom needs. Scroll down the main section to find current event articles, photos, polls, and more. Find lesson plans by category, a student opinion section, contests, a daily news quiz, and timely articles connecting current events to thinking questions. Find many opportunities for a quick learning game or to express your opinion. There is even a student crossword. This site is frequently updated and includes a wide variety of subjects. Share this site on your class web page for students to find challenges or activities. Substitute teachers can always find an appropriate current events or vocabulary/writing activity if there are no lesson plans. English, social studies, and gifted teachers will want to explore the many lesson ideas that draw on current news stories. Find many prompts for student opinion blogs at this site. If you are beginning the process of integrating technology, replace pen and paper and have students create blogs sharing their learning and understanding using Pen.io, reviewed here. This blog creator requires no registration. Nobelprize.org is the official website of the Nobel Prize. Here you find information about Alfred Nobel, the prizewinners, interviews, and photos. Videos of interviews of Nobel peace prizewinners, speeches, ceremonies, interviews, banquets, lectures, announcements, award ceremonies, and documentaries fill the gamut of all of the prizewinners. The Nobel prizes awards are in literature, chemistry, medicine, peace, economics, and physics. Varieties of educational games/activities help explain many of the Nobel Award winners' work. This site clearly explains and illustrates the purpose of the awards, the award winners, and their ideas. Videos give an insider look at each of the winners. Inspire your students to strive for excellence! Show students original, creative, thinking. Let students know they can understand the ideas awarded by trying the educational activities offered. Follow each year's announcements and award ceremonies. Use as an inspiration when beginning your own Nobel Prize winning awards competitions. Encourage students to use critical thinking skills to form opinions based on facts. Substitute pen and paper in your class by having students blog about what they are learning and understanding using Telegra.ph, reviewed here. This blog creator requires no registration. Extend learning by inviting pairs or small groups to use a tool like NoteJoy, reviewed here, to take notes and share links, documents, and images to organize for an interactive poster. Use Adobe Spark for Education, reviewed here, for the poster. 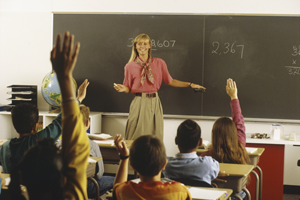 Gifted programs can easily incorporate many of the ideas into the curriculum. Lead your students to Nobel Award winning thinking. EZSchool is an educational portal that contains EZ worksheets, interactives, online study tools, and tutorials. Although this site is "busy" with clutter from some related advertisements, it is easy to navigate by grade level, subject, or more specific topics such as grammar, writing, and vocabulary for English, or word problems, geometry, and algebra for math, biology and chemistry for science, as well as Spanish, Japanese, and Hindi language activities. There are also SAT/PSAT practice questions with detailed answers. All materials are free to use, print, and distribute for use in the classroom or at home. The website is frequently updated with new activities. Weekly updates to the site are offered on the home page. Reinforce learning with these supplemental materials. Your students may practice as much as they want - for free! Print worksheets to leave in a folder for emergency substitute lesson plans or for homework, provide the link on your classroom web page or wiki for students to easily access from any computer, and project the interactives and other learning activities on your projector or interactive whiteboard. Note that some websites may be blocked. Writing Bugs is an online library of writing prompts organized in a timely fashion by months, (for example: Describe snow to someone who has never seen it), as well as "Anytime Writing Bugs," such as: Write about a goal that you would like to achieve this year. Stop racking your brain for new writing ideas and start livening up your resources with this variety of topic and story starters. A huge advantage for these writing prompts is that the subjects are categorized month by month so you can be assured that the topics deal with relevant content, or you may choose from the many that are applicable all year round. You can easily click on the current month and display a particular journal entry starter on your whiteboard or choose to project a few to provide your students with options. They can be used to "get the ball rolling" at the beginning of class, as daily or weekly warm-up activities to practice general writing or skills that you are focusing on, preparing for state assessments, free-writing, or as an "anytime" or "when you're finished with your work" activity. They can be easily printed to use as "emergency" or substitute lesson plans. Are you looking for interesting and fun ways to provide practice and inspire students to improve their writing? The "Daily Writing Prompt" page of The Teacher's Corner will make your life a little easier for as many days as possible, when you are searching for an event to initiate a journal entry or any writing prompt. The ideas are written for various grade levels to meet the needs of both primary and intermediate students. Some of the prompts may not explicitly state that day's event; however you can easily cross reference them with this site's monthly events calendar. Who knows that June 1 is "Donut Day?" Many students consider donuts to be a great breakfast food, which leads to the describe your "perfect breakfast" prompt. However you decide to use "Daily Writing Prompt," you will find them to be a helpful addition to your resources. One advantage to the "Daily Writing Prompt" is that they can easily be displayed on your interactive whiteboard or projector in your classroom. They can be used in a number of ways to improve your students' writing, including daily warm-up activities, practice in writing for state assessments, journal entries, free-writing, or as an "anytime" or "when you're done" activity. The writing prompts have creative ideas and options for how to implement them. They can be easily printed to use as practical "emergency" or substitute teachers' lesson plans. Use this E-learning tool for teachers to create educational activities, crosswords and quizzes. Create activities for online practice, review, and testing of up to 30 students. Create class pages, printable activities, improve students' results and check scores for free. Users will need to create a free teacher account. Use this limited free account for 30 students and 15 activities at a time. Note that the account will be deleted after sixty days of inactivity. A Pro and Ultimate paid account is available. Create student accounts and group profiles. Prepare activities and create permissions for them. Provide login data to students for access. Consider adding links to a website, blog, or wiki page for student access. Alternatively, create a group with anonymous access by creating activities with a web address. Note that statistics of individual student use are not available this way. Publish the web address on a site for access or print the activities for use in a class. The 5 sections of the site control all aspects: Students, Groups, Activities, Files, and Profile. Use the Student section to check results, delete a student, or edit a student account. Click "Add student" at the bottom to create student accounts. Create group access to activities, enable a group forum with the group space icon, or share information under the Group section. Click on "Add group" at the bottom to create a group. Personal access requires students added to your account. Anonymous access creates a class page that students access via URL. Create the group and the kubbu url to save. Create activities and quizzes in the Activities section. View statistics, set permissions, print, review, duplicate, or share activities in this section also. Click on "Add activity" and enter a title and set permissions including time limit, answer revealing, and instructions. Upload pictures and sound files in the Files section. Use these items in with the Composer activities. Change your information including login and password under the Profile section. Hover over any icon you are unsure of to view a description of the function. This is a very helpful resource of this site. Material can be made public for others outside your class to use. Student information is not available for others to see. As teachers add students or create anonymous groups, this creates an ideal educational environment that is CIPPA compliant. Use a teacher site, blog, or wiki page to share links to created quizzes and other activities. Create matching activities for many subject areas. Match synonyms, state or country capitals, definitions, terminology, and many others ideas. Create crosswords easily. Consider using student-created words and hints to be entered easily for practice and quizzing. Create student groups with each group working on a separate section of the chapter or unit. At the end, compile these crosswords and quizzes for a file of practice activities for all students. Keep a file of activities to be printed for substitute plans or extension activities. Interested in the chemical changes that occur during cooking? Have food related cooking questions? Find your answer here on this free site. Learn proper food cooking techniques and identify the science behind them. Teachers should caution students to ignore the ads along the margin of the site. Identify the various techniques and science behind them. For example, browning meat is called the Malliard reaction. Understanding why this brings out the best flavor in the meat is interesting. Learn about sugar substitutes, its use in cooking, and relationship to flavor. Identify taste and how we are able to sense tastes at the molecular level. Follow discussion of techniques with actual use of the technique and resultant taste tests. During a cooking lesson, why not have cooperative learning groups try something they learned? Video their "experiment" and share with the class (and parents) using a tool such as TeacherTube reviewed here. Here is a useful blog created by a high school teacher who saw the value of "Brain Breaks" in his own classroom. Many of the activities could be used with older elementary and middle school students. The blog contains postings from several teachers. Each posting consists of a write-up of the activity as well as a video of the actual activity. The link provides practical uses and allows you to add your own as well. Breaks are archived so you can look at previous months. You can also download them. There are some great "breaks" at this site. "Brain Breaks" is a Learning Focused Schools buzzword, but we all know students sometimes just need a 5-minute break with a built-in way to refocus at the end. Brain Breaks can be especially helpful when teaching on block schedule with longer classes. Here are some ideas to do that. Share one of the examples on your interactive whiteboard or projector. Take a 5-minute "brain break" and have cooperative learning groups brainstorm additional "brain break" ideas to use within your classroom. This site offers 101 ideas for a Great Start to your school year, semester, or even January doldrums. (Okay, actually there are 111 with the 10 bonus ideas). The ideas are broken down into sections: Creating a Welcoming Atmosphere, Set a Positive Tone, Encourage Active Learning, Encourage Students to Keep Up and Do Well, Provide Support for Students, Be Efficient and Effective with Your Time, Gather Feedback on Teaching, and the Bonus 10. Some of the tips are more suitable for college professors, but teachers of all levels can find numerous ideas at this site. There are a few links to other sites (at Iowa State University). Some of the sites are relevant; others are not. Some require Adobe Acrobat. You can get it from the TeachersFirst Toolbox page. Use these activities at the beginning of the year (and throughout) to help your students acclimate to the new classroom. These tips are also very useful for substitutes or for teachers presenting at professional meetings. This site offers ten widely-varied creative writing activities that range in level from upper elementary grades through high school. In some way, they all help the students be invested in their writing by making the topic personal, from "found treasures" to "show and tell" which works as well (although differently) with high school students as elementary ones. These are great activities to have at the tip of your fingers for days when inspiration just runs dry or you are looking for a new approach to creative writing. You might have each student bring in one thing for your "found treasures" bag and then pull them out at random for a class story. The "jumble story" idea is also great because you can substitute current events or topical characters or settings. Over 2000 lesson plans are at your fingertips when you visit this site. Find lesson plans on these topics: Arts, Computer Science, Foreign Language, Health, Information Literacy, Interdisciplinary, Language Arts, Mathematics, Philosophy, Physical Education, Science, Social Studies, and Vocational Education. Some of the lesson plans are actually units designed for a week or more of study. The site allows for printer-friendly versions of the plans to make printing them a neat option. When you need quick plans for the substitute--or if you are a substitute-- this site is a must-have.